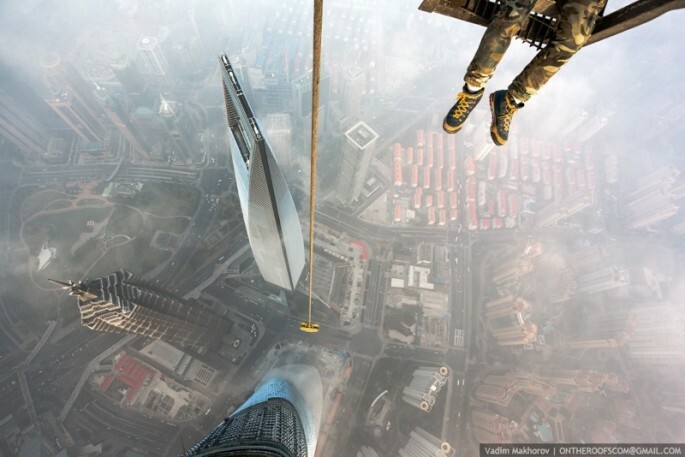 A few weeks ago, daredevils Vadim Makharov and Ritaliy Raskalov climbed the second largest building in the world. They planned their escapade to coincide with the Chinese new year, so that fewer people would be around and security would be lax. 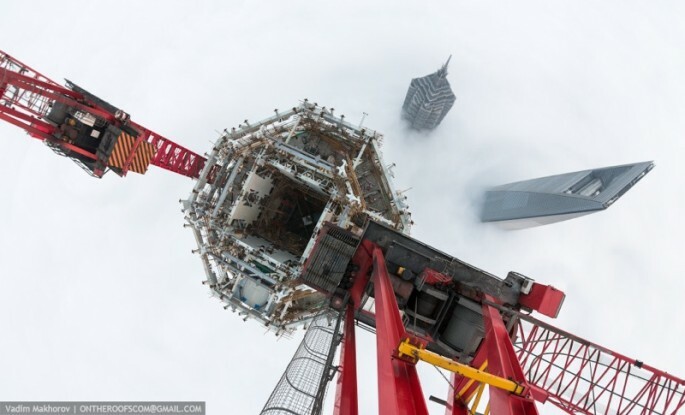 Sneaking into the building, which is still under construction, they climbed 120 stories on foot. At they top, they slept and waited for good weather. Then they clambered out to the very end of the crane that sits on the roof, looked down at the world below, and got ridiculously high on life.